The last great North American glacier began its retreat some 10,000 years ago, leaving behind the accumulation of boulders, sand, and clay that is now known as Martha's Vineyard. The ancestors of Wampanoag people have lived for at least 10,000 years at Aquinnah (Gay Head) and throughout the island of Noepe (Martha's Vineyard), pursuing a traditional economy based on fishing and agriculture. The Aquinnah Wampanoag share the belief that the giant Moshup created Noepe and the neighboring islands, taught our people how to fish and to catch whales, and still presides over our destinies. Our beliefs and a hundred million years of history are imprinted in the colorful clay cliffs of Aquinnah. Some 400 years ago Europeans reached Noepe in sufficient numbers to leave a record, and by the 1700's there were English settlements over most of the island. 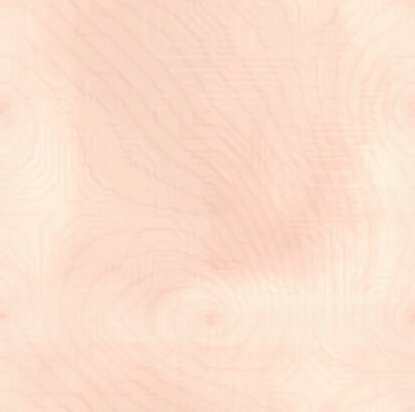 Our presence was quickly felt, and between, the dislocation from land dealings, and the influence of disease, our populations were reduced and our territories constricted. By the 1800's there remained but three native communities on Martha's Vineyard: Aquinnah, Christiantown, and Chappaquiddick. Aquinnah being the most populous and organized, we were able to maintain control over our land, despite intense efforts by the Commonwealth of Massachusetts to end our existence. Over the past 100 years more and more native land has been lost as changes in the local economy forced tribal members to sell their lands, move to other parts of the island, or to leave the island altogether. Aquinnah was at different times in history referred to as a "praying town," an Indian District, and an incorporated town. Throughout it all we remain a sovereign tribe. The Wampanoag, who inhabit the southeastern portion of Massachusetts including Cape Cod, eastern Rhode Island and Martha's Vineyard are the tribe who lived most closely with the Pilgrims when they landed at Plymouth in the early 1600's. They are also the tribe that was most devastated by King Philip's War (1675-76) when their Chief Sachem Pometacomet, or Metacomet, or King Philip, declared war on the colonies. Today's Wampanoag Indians in Massachusetts can be separated into 5 groups, with the Mashpee Indian Tribe on Cape Cod and the Gay Head Wampanoag's on Martha's Vineyard being the largest groups, followed by the Assonet (from New Bedford to Rehoboth), the Herring Pond (from Wareham to Middleboro), and the Nemasked (Middleboro). Their total population is more than 3,000. 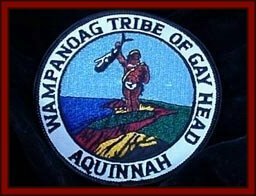 The Gay Head Wampanoags received federal recognition in 1987 with about 300 members living on Martha's Vineyard. They are widely known for their clay pottery and crafts. The Mashpee Wampanoags are recognized by the state of Massachusetts, but are still being refused federal recognition, have the largest number of people with more than 600 members living in Mashpee, Massachusetts, and more than 1,200 members in total. The Mashpee Wampanoag are widely known for their 4th of July Powwow when Wampanoags and Native Americans from all New England tribes "come home" for the Native American celebration. Long before the Pilgrims landed in New England and settled in plymouth, the area was home to the Wampanoag, called "people of the dawn" because they lived in the east. The Wamanpoag lived by Farming, fishing, hunting and gathering. In the spring, whole villages, moved to the seashore to fish and plant crops - corn, squash and beans. Since their homes were often made of woven mats streched with wood frames, they could carry the mats with them and leave the wooden structures behind for their return. In the fall and winter they moved inland to the forests of oak, maple and pine where they hunted deer, wolf, bear, beaver, moose, wild turkey, raccon, otter, and wildcat. From the streams, rivers , lakes and ocaen they took fresh and salt water fish; in winter they fished through the holes of the ice. "The Wampanoag would meet together and cry unto him [the Creator]...sing, dance, feast,give thanks." The presence of the Wamanpoag sachem, Massasoit, and his men at the Harvest Home was fitting. The Pilgrims had many reasons to thank them. Massasoithad made a traty with the Pilgrims which had kept their fields and homes safe. Squanto had shown the Pilgrims how to plant corn, the most plentiful crop they harvested in th e fall of 1621. The Wampanoag formerly occupied parts of the states of Rhode Island and Massachusetts, Martha’s Vineyard, and adjacent islands. Nowadays, they reside in southeastern Massachusetts between the eastern shore of Narragansett Bay in Rhode Island to the western end of Cape Cod. They speak their own language, Algonquin, north- dialect like the Massachuset, Nauset, and Narragansett.The name Wampanoag means 'eastern people' or 'people of the dawn'. They are also called Massasoit or Philip’s Indians. In the early historic records they were very commonly referred to as Pokanoket (Poncakenet). They were semi sedentary, with seasonal movements between fixed sites. Corn (maize) was the staple of their diet, supplemented by fish and game. More specifically, each community had authority over a well-defined territory from which the people derived their livelihood through a seasonal round of fishing, planting, harvesting and hunting. The Wampanoag way of life fostered a harmonious relationship between the people and their natural environment, both physical and spiritual. Also, they respected the traditions and the elders of their nation. The Pilgrims settled at Plymouth in 1620. Massasoit, the Wampanoag Chief, made a peace treaty with the English that was observed until his death in 1660. Wamsutta, (known as Alexander by the British), Massasoit's son, was charged with selling land that had been promised to the settlers. While in Plymouth, Wamsutta became ill and died later at his home. He was succeeded by his brother, Metacom (known as Philip by the English) who was able to placate the English leaders and thus, reduce the increasing tensions between the two groups. Later, he organized a confederacy of tribes to drive out the settlers. King Philip and other leading chiefs were killed during this war, known as King Philip’s War. The Wampanoag and Narraganset were almost exterminated. Some survivors fled to the interior, while others joined their kinsmen on the islands of Nantucket and Martha’s Vineyard where the people had remained neutral. Disease and epidemics destroyed most of the Nantucket Indians, but mixed descendants survive to the present, particularly on Martha’s Vineyard. The work of making a living was organized on a family level. Families gathered together in the spring to fish, in early winter to hunt and in the summer they separated to cultivate individual planting fields. Boys were schooled in the way of the woods, where a mans skill at hunting and ability to survive under all conditions were vital to his families well being. The women were trained from youth to work diligently in the fields and around the family wetu. Fast Turtle is a Wampanoag who lives in Massipee, the area just west of Plimoth. He has a wife and two children. When he was a boy, Fast Turtle was chosen and trained to be a pniese (pa-NEES), a special kind of warrior counselor. Every pniese is selected for his spiritual power, physical strength, courage, and wisdom. They advise the chief, or sachem (SAY-chum), and help settle differences with other communities. Fast Turtle has just returned from the three-day feast in Plimoth. 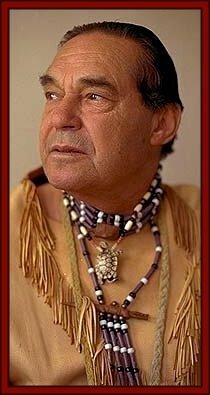 He was one of the 90 Wampanoag, along with the sachem Chief Massasoit, to join this celebration. In the fall of 1997, students talked to Fast Turtle about Wampanoag life in 1621, how the Wampanoag may have felt about the new European settlers, and the significance of the harvest feast. Fast Turtle is the Indian name for Russell Peters, a Mashpee Wampanoag of the Turtle Clan who lives in Brookline, Massachusetts. Mr. Peters is an author, film producer, exhibit curator, and public speaker who works to educate people about Mashpee Wampanoag history and culture. Mr. Peters was born and raised in Mashpee, Massachusetts. After finishing school, he served in the U.S. Army for five years. He earned degrees at Morgan College, Harvard University, and the Massachusetts Institute of Technology. Since 1992, he has served as the President of the Wampanoag Indian Tribal Council, a position he also held from 1974-1980. IMPORTANT NOTE: Fast Turtle of 1621 is a fictionalized character. It is unlikely that there was a Wampanoag named "Fast Turtle" who lived in Massippee in 1621 or who attended the Thanksgiving feast with the Pilgrims. Russell Peters, a present-day Wampanoag, answered questions under the name "Fast Turtle" because this is his real Indian name. In some cases, Russell Peters added a message from the present-day perspective.